More than a month ago, Paul Singer, a billionaire hedge fund manager and one of the biggest donors to Republican candidates and causes in 2014, publicly endorsed Marco Rubio and urged others in the party to back the Florida senator as well. The endorsement, which the New York Times put on its front page, was interpreted as a sign that the Republican Party establishment was getting behind Rubio as the man to stop Donald Trump. But so far, many key Republican Party officials are not heeding Singer’s message. A bloc of top Republicans in New Hampshire, including former congressman and State Senate Majority Leader Jeb Bradley, opted this week to endorse New Jersey Gov. Chris Christie. The vast majority of U.S. House members, senators and Republican governors so far have chosen not to endorse anyone. Many key operatives in Iowa, New Hampshire and South Carolina have also remained on the sidelines, as have major figures in the Republican Party like former Massachusetts Gov. Mitt Romney. By November 2011, according to the data journalist Nate Silver, 35 Republican members of the House, six senators, three governors and two people who ran for president earlier that year had endorsed Romney. That group of influential supporters was far larger than the backers of the other candidates, making it clear that Romney was the favorite of the Republican establishment. Rubio, in contrast, has the support of 18 members of the House, three senators and no governors, according to data compiled by Silver’s website FiveThirtyEight. Rick Perry, Scott Walker and Bobby Jindal, who have all dropped out the 2016 race, have also chosen not to endorse any of the candidates, including Rubio. Jeb Bush has more major endorsements than Rubio. Endorsements are not a perfect predictor of election results. But they are often a sign of a party establishment rallying behind a candidate, as the wave of endorsements Hillary Clinton received this year illustrated the strength of her candidacy, leaving Vice-President Joe Biden to opt against a campaign. The Republican establishment is strongly opposed to Trump, and many in the party have deep reservations about Texas Sen. Ted Cruz as well. Bush’s candidacy appears dead. So why isn’t the party lining up behind Marco? But in interviews about Rubio, Republican strategists and donors often cast doubts about his experience and question whether the 44-year-old is ready to be president. Some of these Republicans have met with Rubio one-on-one. It’s not clear if these remarks reflect reality, as Rubio often gives sharp answers on foreign policy questions in debates. It could illustrate a kind of ageism among Republicans, who have spent seven years suggesting Barack Obama was unqualified to be president and are uncomfortable electing another young, first-term senator. By this point in 2011, Romney had a relatively clear campaign strategy: win in New Hampshire and use his fundraising advantage to eventually grind out the nomination, since he could afford to spend more on television ads than other candidates. Rubio does not have a fundraising advantage. And while other candidates have suggested Iowa (Cruz, former Arkansas Gov. Mike Huckabee) or New Hampshire (Ohio Gov. John Kasich, Bush and Christie) as the state where they will win, Rubio’s campaign has not specifically targeted either of the first two early states. The candidate has made many fewer appearances in early states than some of his rivals. Rubio’s aides have outlined a plan that is unorthodox. The Florida senator, through debates and other forums, will become the favorite candidate of some Republicans and someone nearly everyone in the party can accept. That will lead to victories in states, so far unnamed, and eventually the nomination. Rubio’s campaign and the super-PAC supporting him are spending heavily on television commercials, but they don’t have a huge field staff in either New Hampshire or Iowa, as Obama did in 2008. Parts of Rubio's unusual strategy have already worked. 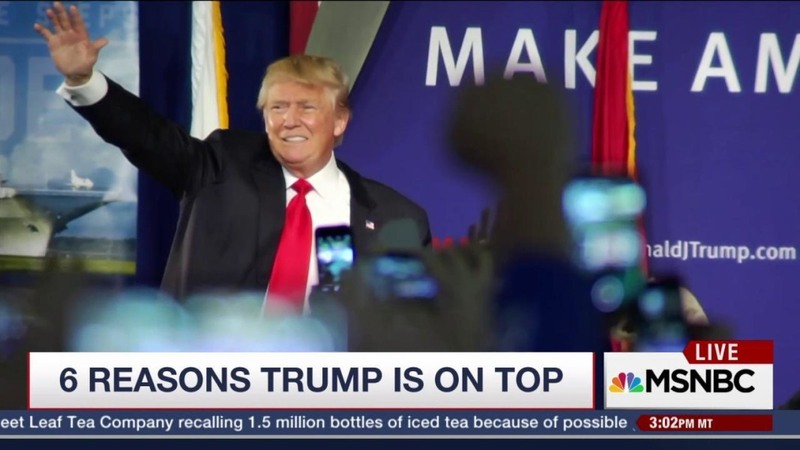 He has gradually went up in polls over the last few months and is now well-positioned to become the candidate of the more moderate wing of the GOP. Scott Walker spent so heavily on his "ground game" in Iowa that he ran out of money and had to quit the race, and Bush has a run an expensive, traditional campaign and also went nowhere. "We're not a niche candidate, where we only have one lane and we're going to really double-down on that lane," Rubio campaign manager Terry Sullivan told reporters at a briefing early this year. "We also don't scare anybody. Yes, you have to become the first choice of enough people. But the pathway to do that is to not be scary to any part of the party. There are die-hard Ted Cruz supporters who think "yeah, I like Marco Rubio" and there are die-hard Jeb Bush supporters who say "yeah, I like Marco Rubio." Republicans in both Iowa and New Hampshire who like Rubio are grumbling about this approach. They are wary of endorsing a candidate who does not seem like he has a clear plan to win. Having twice run for president himself, John McCain is probably aware the candidate he has endorsed, South Carolina Sen. Lindsey Graham, is very unlikely to win the nomination. Jeb Bush has spent more than $30 million in ads and gone nowhere in the polls. Christie has had a strong few weeks in terms of endorsements, but his more liberal record on some issues (he was once a strong supporter of banning the purchase of so-called assault weapons), his famous hugging of Obama on the eve of the 2012 election and the controversy about a bridge closing during 2013 in New Jersey are huge barriers to him becoming the Republican nominee. That said, Graham is a long-serving senator from South Carolina, deeply-respected in the Republican establishment. The Bush family remains influential in GOP circles, and Christie, as head of the Republican Governors Association, campaigned for many of the Republican governors who won in 2014. Republican officials are likely to give Bush, Christie and Graham a chance to campaign in New Hampshire, where those candidates could do well because of its more moderate electorate, before abandoning them and endorsing Rubio. “In deference to our senior senator, people aren’t going to move,” said Katon Dawson, the former chairman of the South Carolina Republican Party, referring to Graham. Dawson said that if Graham does not perform well in New Hampshire and leaves the race, it will free up key officials in the state to back other candidates. Dawson said four endorsements would be particularly important in South Carolina: Gov. Nikki Haley, Lt. Gov. Henry McMaster, U.S. Sen. Tim Scott and Graham, if he is no longer a candidate. Graham has been a strong critic of Donald Trump and Ted Cruz, and he is very unlikely to endorse either of them. Politicians want to endorse to help a candidate win, but conversely, they want to endorse the candidate likely to win. An endorsement of a losing candidate could suggest a member of Congress or senator is out of step with his constituency. In 2008, several black members of the House were shocked after endorsing Hillary Clinton and then watching their districts vote overwhelming for Obama. John Lewis, the Atlanta congressman and civil rights icon, was forced to do what is usually unthinkable, reversing his endorsement of Clinton while she was still in the race to embrace Obama. No member of the House or the Senate has endorsed Trump. But his poll numbers are high enough that there is some chance that Trump wins the overwhelming majority of Republican primaries. In this view, endorsing Rubio, who co-wrote a bill creating a pathway to citizenship for documented immigrants, will look very unwise in a party that has nominated the aggressively anti-immigrant Trump as its presidential candidate. “Look at those people who endorsed Bush and Walker,” said one Republican congressman who has opted not to endorse anyone in the race and did not want to speak publicly about his thoughts. “This is too wide-open." A small but significant group of Republicans view the primary in the opposite way: early polls are not predictive, Trump is not likely to win any states and the Republican Party can essentially rally behind whichever one of its traditional candidates (Bush, Christie, Kasich or Rubio) wins the most early primaries. The traditional view is that the Republican Party is divided into a more moderate wing and a conservative one, and the former picks the nominee. The candidate of somewhat conservative and moderate Republicans beats the hopeful of evangelicals and very conservative voters. But the energizing force of the Republican Party is now its deeply conservative members from the South. The House Freedom Caucus, with about 40 members in a chamber of 247 Republicans, pushed out John Boehner as House Speaker. The members of Congress who have endorsed Rubio are nearly all from the West (California, Washington, Idaho, Utah, Montana) or the Midwest (Michigan, Illinois, Wisconsin). They are not conservative firebrands. Rubio is deeply conservative on most issues, but has cultivated as image as being the candidate of the more moderate wing of the party. If Republicans are wary of Trump’s lack of experience and outlandish comments, Cruz has served in elective office but is a more pure conservative than Rubio. Cruz’s endorsements are so far largely from Texas, his home state, so that does not reflect deep support either. But as he surges in Iowa and seems a more viable nominee, key party officials, particularly in the South, could mobilize behind him, not Rubio. While fundraising totals have not been released yet, it’s likely Rubio will have raised much more money than other candidates from October to December, with Singer and his allies backing him. 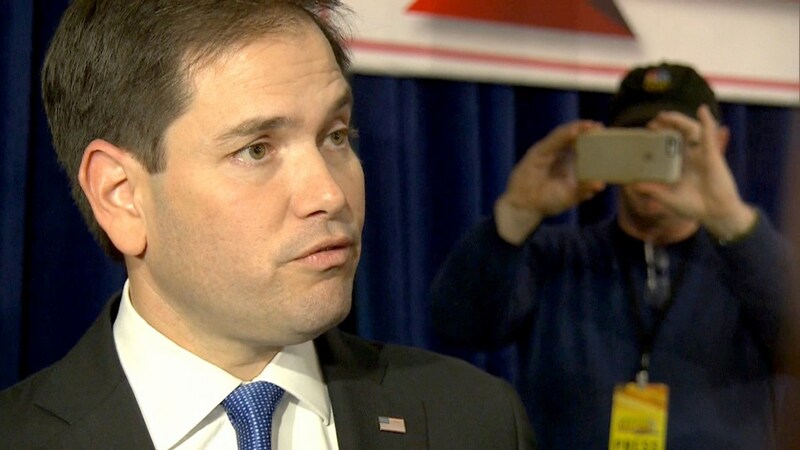 Two major GOP donors, North Carolina’s Art Pope and Illinois’ Ken Griffin, have announced their backing of Rubio over the last week and could pump millions into his super-PAC. Since the start of November, 14 members of the House and Senate have backed Rubio, more than the rest of the Republican field combined. In some ways, Rubio is winning the establishment, just not yet its more famous figures, like Romney. Trump constantly touts his great poll numbers. Rubio aides constantly note polls at this stage of the race are not predictive, even when the candidate goes up in them. “We don't care about polls yet,” Rubio spokesman Alex Conant said last week. “But we are building momentum by every metric that matters and increasingly confident that Marco will win in February and March."